In a previous article, we chatted about the dangers of playing three-bet pots out of position and came to the conclusion that the majority of low stakes or inexperienced players should probably avoid too often calling those preflop reraises when they don’t have position on their opponent. But what if you do have position on your three-betting opponent? Can you call more liberally or do you still have to consider folding most of the hands with which you are not willing to four-bet? The answer is a mixture of both. While you can start to call more preflop three-bets when you have position, you can’t throw caution to the wind and call each and every three-bet that comes your way just because you have positional advantage. 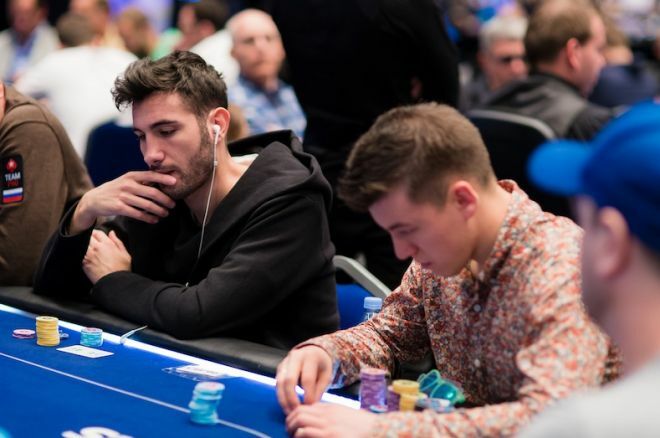 You should still play relatively tight when facing a three-bet mainly because most players three-bet a much tighter range of hands than you would like to think — something we touched on in the previous article. The first thing you need to do when facing a three-bet with position is to work out what sort of hands might inspire your opponent to reraise you from out of position (say, from the blinds after you raised and the action folded around to him). If the player has three-bet before and then has gotten to showdown with the hand(s), consider what kinds of hands that player has had in those cases. If you have seen him three-bet and get to the river with a hand such as , for example, then you can start adding hands such as pocket fives (and better) to your calling range against his three-bet. Once you have a decent sample size of three-bet hands, it will be much easier to figure out if you can call when reraised. All you need to do is compare your holding to the weakest part of your opponent’s three-betting range and, voila, you have your answer — or at least a solid estimate with which to help you with the decision. This makes a hand like pocket eights an almost mandatory call if your opponent is continually three-betting with smaller pairs, but often a fold if the weakest hand with which he is three-betting is -suited. High cards can be good for calling three-bets, while with low cards you should not be automatically be calling three-bets, even in position. The main problem with calling three-bets with low cards such as small pocket pairs is that when doing so you are often going to be reliant on implied odds (such as hitting a set to beat an overpair) and implied odds are usually reduced in three-bet pots, especially when you are playing against solid, thinking opponents. As you can see, having position on your opponents gives us a little more freedom to call three-bets, something we shouldn’t really be doing out of position. Be observant, use your reads, and don’t be afraid to use your instincts, and you should find playing in hotly contested hands much easier to do.